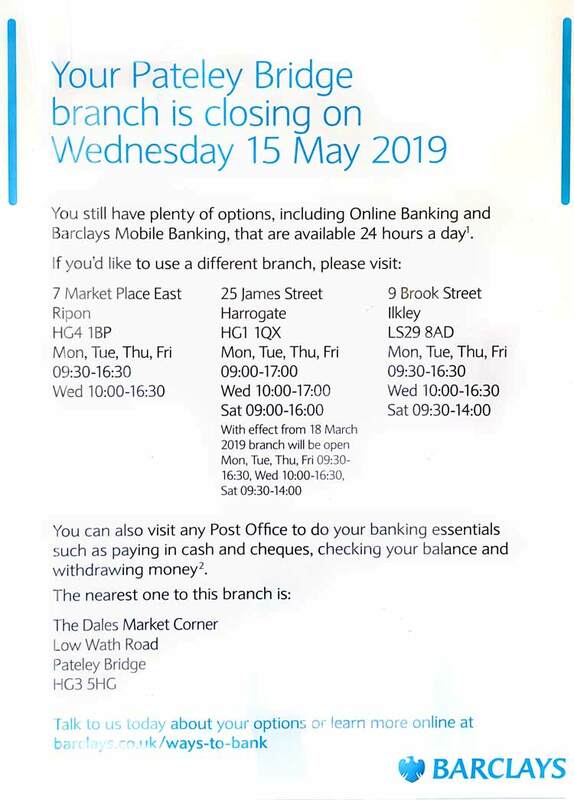 Barclays Bank have said the branch in Pateley Bridge will close on 15 May 2019. The Nidderdale Chamber of Trade say they were disappointed to find out this morning from seeing a notice in Barclays Bank, Pateley Bridge window announcing the branch will be closing. This is the only bank in Pateley Bridge and is a massive blow for the community of Nidderdale especially those without transport and computers who rely on it. They will also be served by only be one external cash machine. There are counter facilities in a Pateley Bridge shop, but the nearest branch will be Ripon or Harrogate. The Nidderdale Chamber of Trade say they have recognised along time ago that this could be on the cards but received assurances from Barclays that they had no intentions of closing the Pateley Bridge branch. – the Chamber have started today lobbying to try to challenge the closure decision. The size and shape of our branch network is dependent on how and why our customers use them and is therefore subject to change. At the end of 2018, we had 1058 branches in our network – the largest branch network on the UK high street. 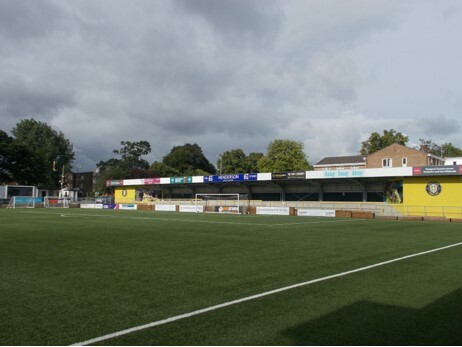 Where we do take the difficult decision to close a branch, we work closely with the local community to understand their needs and whether there is an alternative solution we can provide. The number of physical Barclays branches will reduce overall but our branch network and the colleagues who work in them remain a vital part of our offering. With customers visiting our branches less and less each year, we must constantly assess how and why our branches are used and make decisions based on that insight. No one seems to have been aware of the proposed closure until either seeing the notice in the branch window or receiving a letter in the post this morning. There has been no consultation with the Nidderdale Chamber of Trade in fact only recently I was assured there were no plans to close the branch. The Assurance to me was made by the regional business bank manager. The Nidderdale Chamber of Trade have started a petition to the government saying stop the closure of Barclays Bank Pateley Bridge. This will go live shortly. I have also had a meeting with our constituency MP Julian Smith today and will be liaising with him. Branches in Grassington, Boroughbridge and Knaresborough are also scheduled to close.